The stones in the Swedish Ice collection I have collected myself on hiking trips. 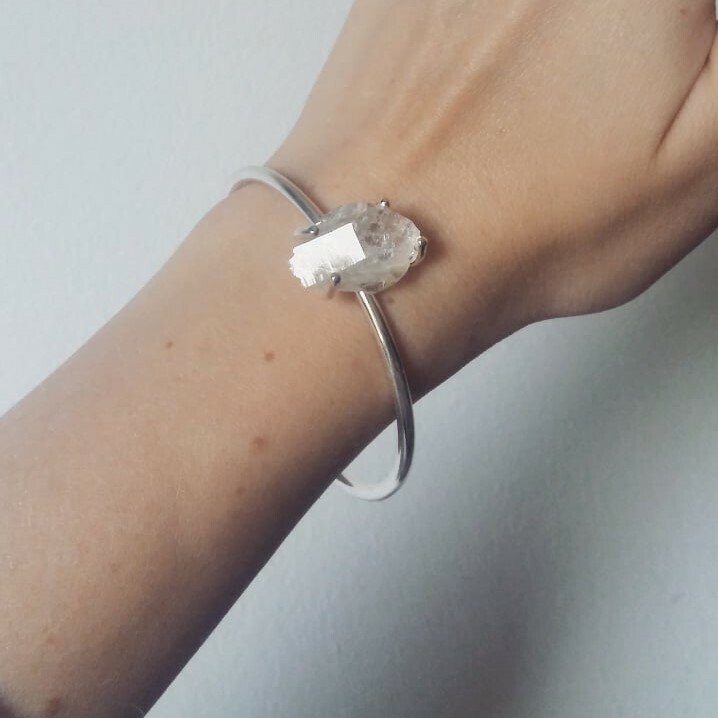 This bangle is made out of 925 sterling silver and a raw swedish crystal quartz. 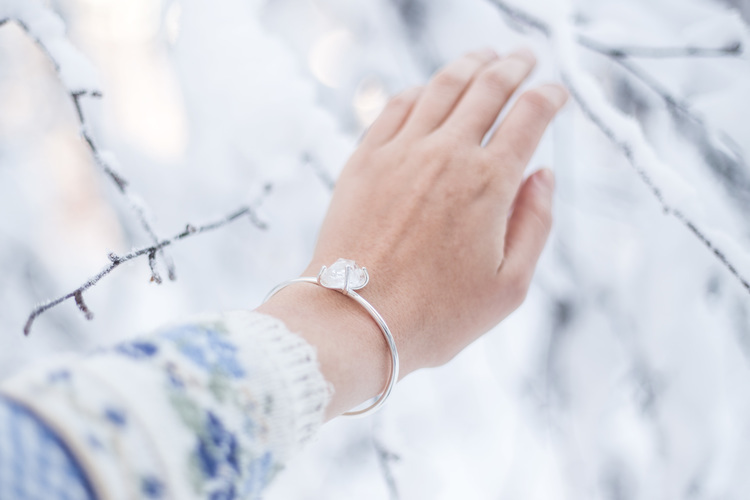 This piece of jewelry is made by hand in Sweden. The stone is found in Swedish Lapland. This bangle is in stock and will be sent to you within 2-3 working days. Only one avaliable. This bracelet is made in size M-L but could be made smaller if needed.